Harkening back to the sixties, the heyday of surfing in Southern California, and borrowing from surfing's deep roots in woodworking, Tower brings you the Rincon, a stylish, handcrafted layered Vermillion and Black Walnut surf style sunglass with spring-loaded brass hinges. It's an unmistakable beach lifestyle fashion statement, where natural beauty dovetails with the finest lenses on the market. The exterior layer of the frame is made of Vermillion wood. Also known as African Padauk, it is native to Central and Western Africa. This exotic hard wood is reddish in hue and commonly used to make drums in Africa due to it tonal resonance. Other parts of the world import it to make fine stringed instruments. The interior layer of the frame is made of Black Walnut. While it is called, "Black Walnut," it is actually dark brown color wood with a typically straight grain. Historically used for things like gunstocks, furniture, flooring, and paddles, it naturally darkens over time and thus ages beautifully. Black Walnut is native to North America, and historically in Europe it has been considered a symbol of fertility. 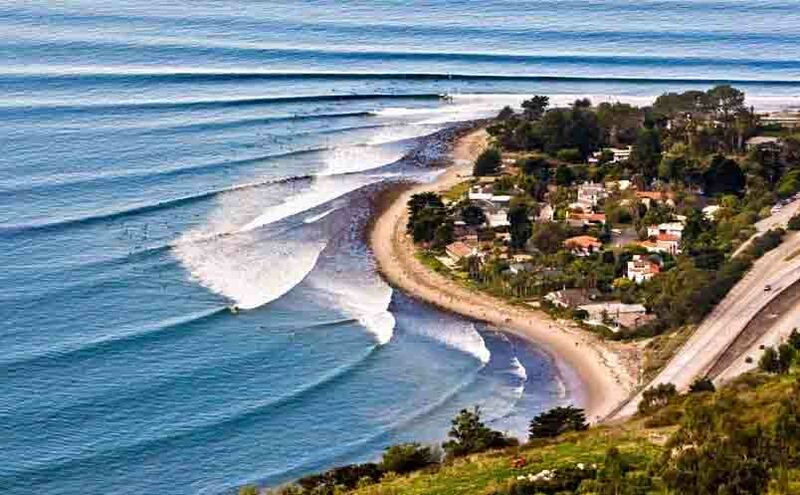 Rincon, which is Spanish for "angle" or "corner," is a surf spot located at the Ventura and Santa Barbara County line in Southern California. Also known as the "Queen of the Coast", Rincon is one of the most famous surf spots in California, known around the world for its perfect waves and long rides. The book 100 Best Surf Spots in the World rates Rincon at 24 and is also home to the Rincon Classic surf championship scheduled for January each year, although often delayed until conditions merit a contest. Rincon is located along U.S. Route 101 at Bates Road and is divided into three parts: the Cove, Rivermouth, and Indicator. The cove is the best part of the point and is the closest to the freeway. Rivermouth is the fastest section of the wave reaching from the mouth of Rincon Creek to the large white/stone house. Tube rides occur mainly at Rivermouth at low tide. Indicator is at the top of the point, visually obstructed from the freeway. While Rincon is most famous for its long right-breaking waves, Indicator also produces some extremely fast left-breaking waves during the summer, when southerly swells are most prevalent. During a larger westerly swell, all three sections often connect into one contiguous ridable wave. Rincon's history stems back to 1769, when the Spanish Portola expedition came west along the beach from the previous night's encampment at Pitas Point. The explorers found a large native village at a watering place near the mouth what is now called "Rincon Creek", and camped nearby on August 16. Fray Juan Crespi, a Franciscan missionary travelling with the expedition, noted that "As soon as we arrived all the people came to visit us, and brought us a great supply of roasted fish to eat" The second expedition in 1775 led by Juan Bautista de Anza camped at the same place, referring to the native village as "La Rinconada." Love this look of the wood on these as well as the old-school surf vibes. Always getting compliments on them and best part is that they are very comfortable to wear! From afar, everyone thinks I'm just wearing cool black shades. They they get up close and are like, "Wait, those are wood? Cool."